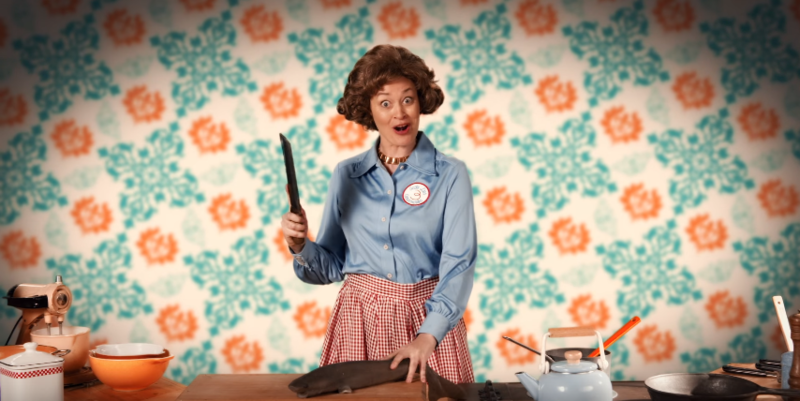 The ERB team served up a brand new battle yesterday featuring cooking show hosts Gordon Ramsay (played by EpicLLOYD) and Julia Child (played by guest star Mamrie Hart) in a classic old school vs. new school showdown! 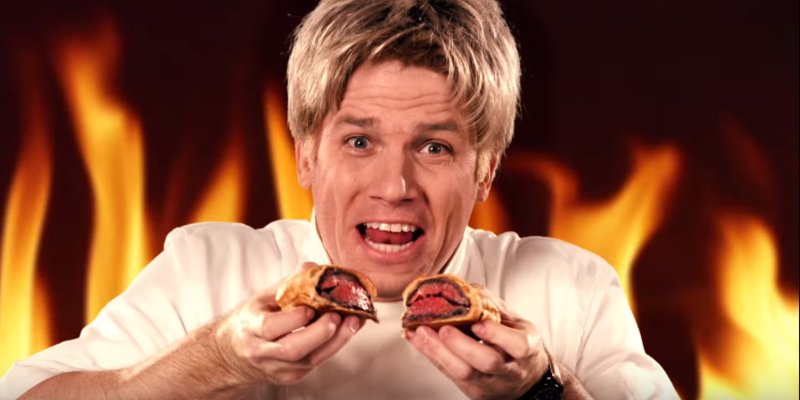 Gordon Ramsay has always been a popular choice for an ERB due to his modern day celebrity status. Simon Cowell vs. Gordon Ramsay has been a popualr suggestion for a while due to their similar temperaments and critic statuses. Others have suggested Ramsay go against another chef, the most common choices being Paula Deen or Colonel Sanders of KFC. However, given ERB's tendency to opt for more history when necessary, Julia Child was ultimately chosen for Gordon Ramsay's opponent since she was "the first one to have a cooking show".